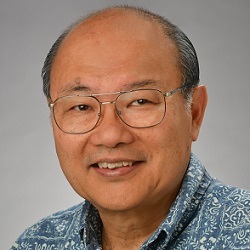 Dr. Warren Wee is an Associate Professor of Accounting and is a licensed CPA in the state of Hawai‘i. He teaches accounting and finance courses at both the undergraduate and MBA levels. He holds professional memberships with the AAA, AGA, AICPA, HSCPA, IMA, and NSPA. He formerly served on the Hawaii Chapter Boards of the HSCPA and IMA and worked in the Honolulu Office of Deloitte, Haskins, & Sells. He also served on the Board of Directors of Pacific Gateway Center and Aloha United Way, and serves as a volunteer with several other agencies. His interests are with internal accounting controls, the international harmonization of accounting standards, and the success factors of not-for-profit organizations and small businesses. Prior to joining the faculty at HPU, Dr. Wee was a member of the faculty of four other universities.